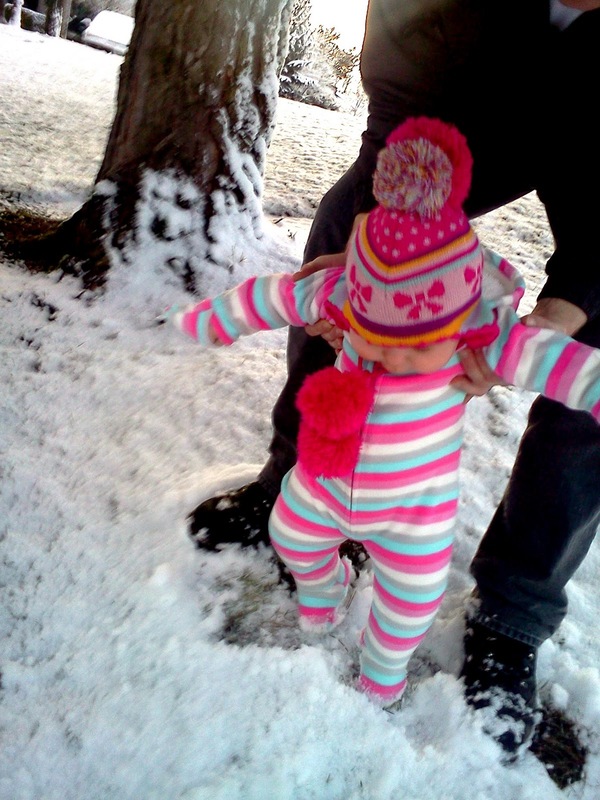 Yesterday it finally snowed here in Washington! 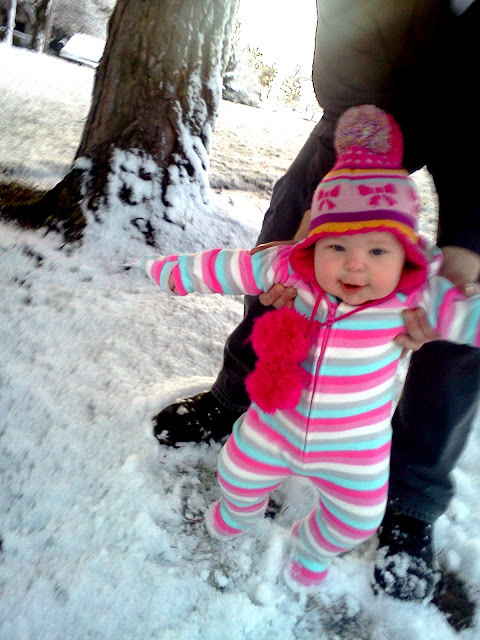 I was so excited to take Chloe outside to experience the snow for the first time. 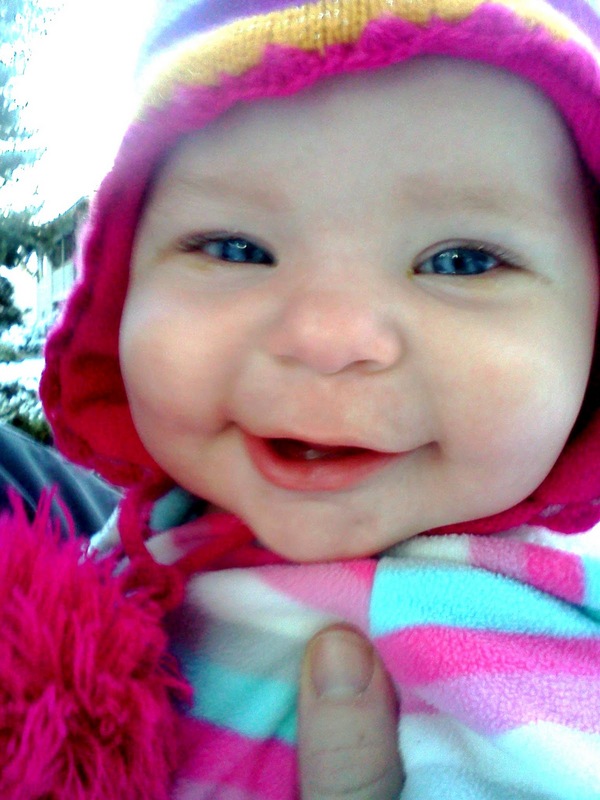 She smiled and giggled the whole time while looking at the pretty, white world around her! Watching Chloe experience something new always puts such a huge smile on Mike and I's face! Thanks Stephanie! I know I love this age its so much fun. Thanks so much for stopping by! 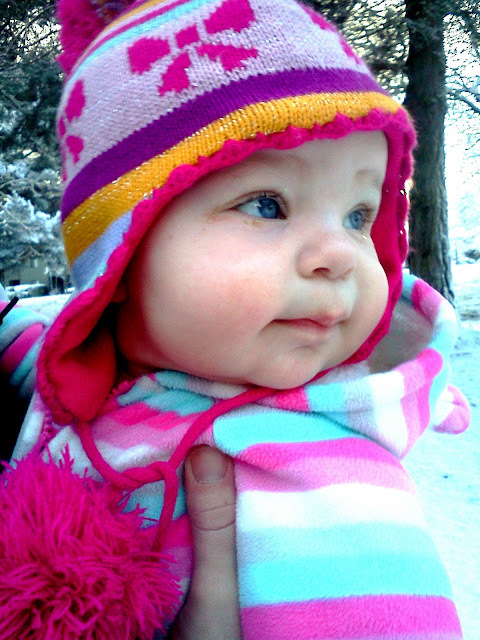 What beeeeeeeautiful blue eyes she has! Thanks Courtney! I just love her eyes!